Practical Stone Masonry is the first major book in nearly seventy years on the craft of the stonemason. Today the work of the stonemason is almost exclusively confined to the repair of historic buildings, requiring a full working knowledge of the detailed traditional craft practices relating to repairs. This book addresses that need. It covers the basic methods of working stone, the making of specialized tools, and, for the first time, a full analysis of the procedures for setting-out for repairs. A broad description of the nature and problems of stone also includes guidance on selection. In addition, the authors look at the causes of decay in stone and outline methods for repair of both stone and mortar. 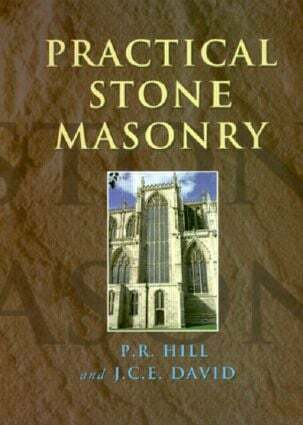 "Practical Stone Masonry" contains essential advice for working masons and apprentices, and all those engaged in planning and supervising such works. It includes: the basic methods of working stone; how to make specialized tools; the procedures for setting-out for repairs explained; and, the nature and problems of stone plus a guide to selection. An architectural history of the trade;Health and safety at work; Stone: its nature and problems; Setting-out: the fundamentals; Setting out: the application of geometrical shapes; Masons' hand tools; The banker shop, lifting tackle and machinery; Mortar; Working stone; Fixing; Cleaning methods; Supervision and specification; Training into the 21st century; Glossary of architectural and technical terms.